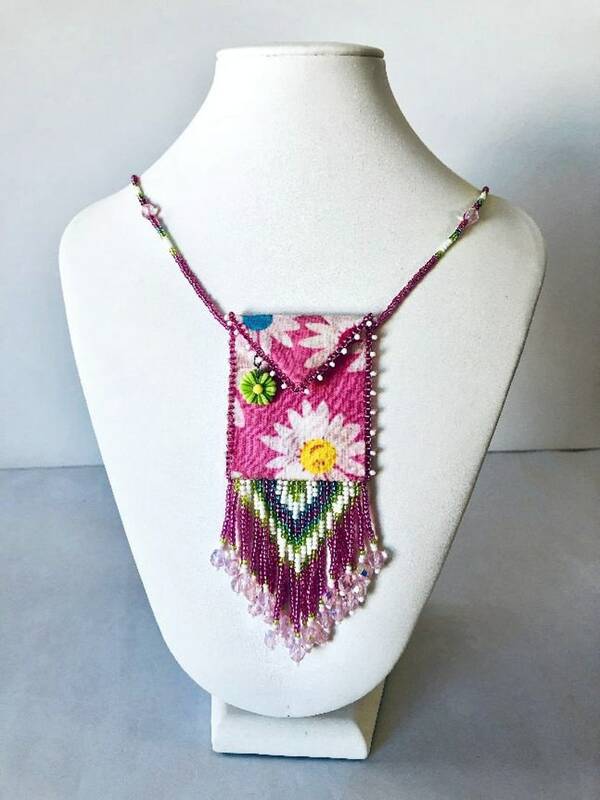 The Pink Flower Power Beaded Bag Necklace is designed with 100% cotton pink fabric with white daisies, this beautiful beaded fabric amulet is accented by the highest quality glass beads in pink, white, light green and light blue. 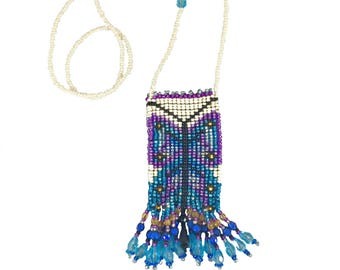 It also features a glass bead fringe ending in faceted pale pink glass beads, and a glass bead strap. 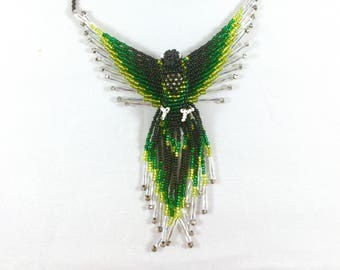 A cute green acrylic daisy charm and a strong snap closure complete the Pink Daisy Beaded Cloth Bag. SIZE – The entire length of the Pink Daisy Beaded Gypsy Bag from the halfway point of the strap to the end of the fringe is 16.5 inches. 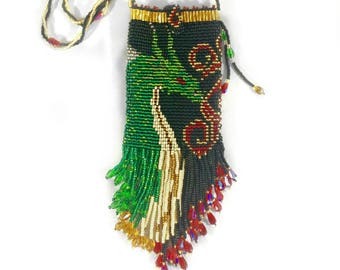 The bag itself is 2.5 inches long x 1.75 inches wide and the fringe is 2.25 inches long at its center.